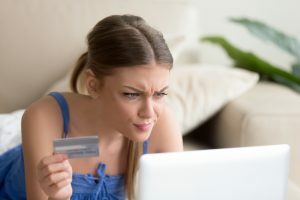 Home » Blog » Blog » What Is the Difference Between Unsecured and Secured Debt? Not all debt is created equal. Many people will say, “There’s no such thing as good debt,” and, to a certain degree that’s a wise saying. When it comes to “good” debt, the word can be misleading. Really, it’s that “secured” debt that is “better” than unsecured debt. Debt is considered to be secured if the loan or account is tied to an asset. Examples of this would include a mortgage payment or a car note. CreditGUARD’s debt management services focus on unsecured debts. The types of accounts we can help with include credit cards, store credit cards, personal bank loans (unsecured), gas station charge cards or medical debt. Types of debt that CreditGUARD can’t help with include government subsidized student loans, mortgages, auto loans or other loans where an asset or collateral is involved. That means, if you buy a house, a car, a boat or any other type of major asset, when you take out a loan for the purchase of this item, you’re taking on secured debt. If you’re delinquent on your secured debt payments, our program can’t keep you from experiencing the consequences. When you enroll in our debt management program, we help consolidate your monthly debt payments into a single payment. We do this without offering any type of new loan. We are not a debt consolidation loan provider. Through a combination of financial education, negotiating with your creditors and the process of managing your monthly unsecured debt payments, CreditGUARD works to help you get out of debt faster. Our program is rated A+ by the Better Business Bureau, and our counselors work with you to ensure that you’re making the right decisions for the duration of your participation in the program. To learn more about our credit counseling program, call us today to get started on the road to a brighter financial future. To get started, fill out our online form or call 800-500-6489.